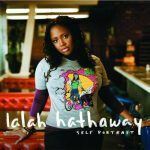 Song of the Day: Lalah Hathaway - "Where It All Begins"
Well since I’m in a asking questions type of mode… I feel compelled to explore “Where It All Begins” for our Artist of the Month. I would like to do this exercise as if I knew absolutely zero biographical information on Lalah Hathaway in fact, I would like to go so far as to pretend I had never heard any music by Lalah Hathaway. I communicate to you all one of the most exciting findings of my fledgling career in musicology. As has been noted to me many times throughout this undertaking, the study of a dying (well almost extinct art form) does not find much favor within the confines of our culture. Many believe that we have moved well beyond the need for such pursuits such as art, and in particular music because that is seen as work best suited for machines, not humans. Today, I present to you one of the last remaining vestiges of when it was still considered important for humans to be involved in the creation of music. My discovery is an endearing composition entitled “Where It All Begins”, that has an odd rhythm that is quite unlike what our music generators produce. The pulse of the music varies and in a sense almost sways, in a manner that is inline with the tradition of “dancing” which has not been practiced in well over 150 years. As you may have gathered there were some significant challenges in trying to decipher what was contained on the “disc”. Currently we do not have any machine that can replicate the code for listening, but what I was able to do is to take images of the backside of the disc with my Visionaire and combine the images to replicate the “laser” technology that was a popular medium at the time. Oddly this “music” was quite warm to the ear… I’ve never experienced quite a sensation like this. I had read about dense harmonic tones that were produced by the human voice in the latter part of the 20th century, into the 21st but even in all my studies I had never come across that sound. It is quite the predicament for the researcher to not have practical examples to take the theory that I have become accustomed to into practice. This is exciting research though, because if our dating on the material is correct it is contrary to the standard thought that has been advanced that music began to slowly de-volve around the year 2000 so this example thwarts that scholarship directly. 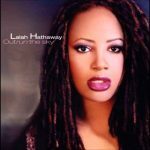 We have been able to audio match the example to our archives which brought back a late 20th century singer by the name of Lalah Hathaway. In doing some further research it seems she was one of the more virtuosic singers of the era, which was often dominated by vocalists with limited vocal range and limited melodic and harmonic imagination. One carry over from this particular era was the popularity of an “audio plugin” initially designed to assist vocalists with intonation issues, but it became popular to allow anyone to use this “plugin” and a whole category of computer generated vocalists were birthed paving the for the solely chip-generated musicians and compositions of our time. 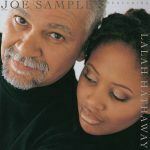 We will continue the search for more “discs” from the era both of Lalah Hathaway and other artists that we have been able to determine recently that are of a similar ilk. Given what has been the norm as far as music is concerned for these last 150 years or more, you must understand our excitement, we will be looking for clues from this music to see if we can decipher exactly how humans were able to make music. We have every confidence that we will be able to rediscover the code, just like we were finally able to rediscover how to construct pyramids. I enjoyed it. The music is so sound.Nice song.